To comprise current knowledge on morphology, embryology and pathophysiology of synovial plicae as well as on clinical and therapeutic aspects of the plica syndrome. 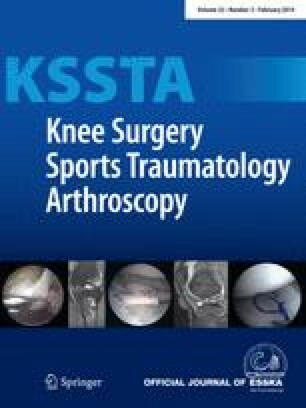 Review of the literature combined with a meta-analysis of studies assessing the outcome of open or arthroscopic plica excision including the author’s own series. The term synovial plica has been devised to describe a number of intra-capsular folds thought to represent remnants of a membranous knee joint partition present during foetal development. Although four such folds have been defined, it is mainly the medial patellar plica which is implicated in carrying clinical significance as a potential cause of anteromedial knee pain particularly in adolescents. Blunt trauma, a sudden increase in athletic activity or any form of transient synovitis are associated with plica inflammation leading to tissue fibrosis and subsequent loss of elasticity. A plica affected in this way may impinge against intra-articular structures in its proximity, often creating localised chondromalacia particularly of the patello-femoral joint. The diagnosis is based on history and clinical examination although MRI can be of value. Twenty-three studies assessing the clinical out-come of 969 patients following open or arthroscopic plica excision were identified. The average age was 25 years with equal male-to-female ratio. Trauma was considered the cause in 57 %. At a mean follow-up of 27.5 months, 64 % of patients were symptom free, 26 % improved and 10 % considered failures. Symptomatic plicae may initially be treated with physiotherapeutic measures and structured exercise regimes but success rates are generally low. Intra-plical or intra-articular corticosteriod injections may be beneficial if administered early in the disease process. Arthroscopic excision of the entire plical fold becomes indicated in recalcitrant cases and once a plica has undergone irrevocable morphological changes. The procedure carries low morbidity, and results are universally good especially if the plica is the sole pathology. Factors associated with a favourable outcome are young patient age, localised symptoms of short duration and absence of plica induced chondromalacia. The author conveys his appreciation and gratitude to all patients who participated in the presented study. A special thank you is extended to Lesley Greig and the library staff of the Learning & Teaching Centre at Southmead Hospital in Bristol/UK and to Sylvia Louise Davies.